When February rolls around, the shudders from Derby fans can be picked up on the Richter scale. The Rams undoing several times in recent seasons, the dreaded second month has once again left us wobbling. Derby may be seventh, but the familiar February fear has crept back in. For neutrals, to hold such emotions when you’re two points from the play offs seems overdramatic. But for Rams fans, this is not our first rodeo. Since time began (or five years if you’re being pedantic), we’ve tripped up at around the same point every season. 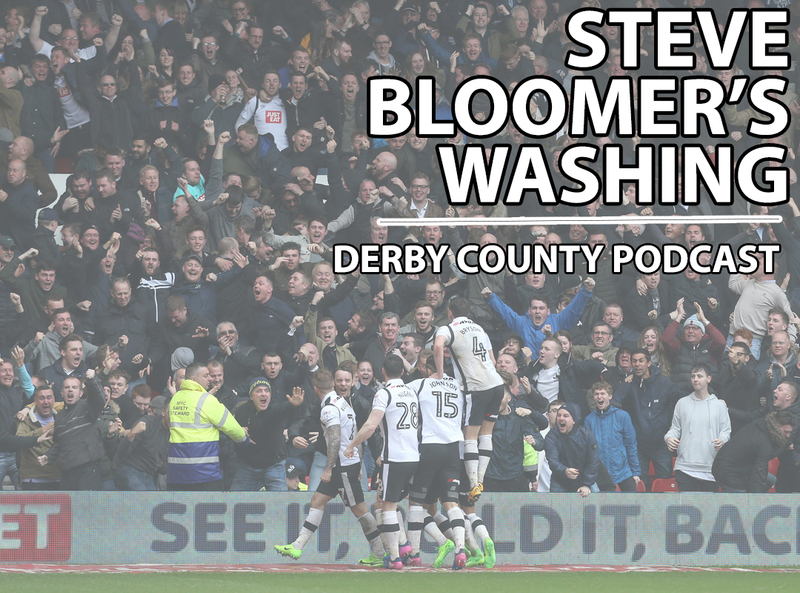 Managers, players and styles have come and gone, but Derby’s spring slump has always remained. This undying curse has gone from an irritating guest to part of the family – now sitting in your favourite seat, with its feet up and wearing your slippers. All the positives January gave us – a play-off berth, FA Cup progress and an overall feel-good factor – have been swiftly taken away by the month that shall no longer be named. Warning signs were there in the 0-0 draw with Preston. A lacklustre Deepdale display was brushed aside and labelled a plucky performance. A proper backs-to-the-wall job with grit and determination. All well and good against a promotion rival, but against a side condemned to mid-table obscurity, Derby fans can’t be blamed for expecting more. Injuries to key players have taken their toll on this young Rams side. We could’ve done without Jack Marriott’s niggle or Tom Lawrence’s ankle troubles, but the absence of Mason Mount has been felt the most. The midfield has lost a creative outlet and seems out of balance without him. It’s no coincidence Harry Wilson has not looked the same since his fellow loan starlet has been out the side. Seeing Martyn Waghorn bag a brace from centre forward in a 2-0 home win over Hull City remains one of the few positives. Two well-taken goals – the second a smart first-time finish from a superb Jayden Bogle assist, hinted at momentum which never materialised. Days later, there was a 1-1 draw at Ipswich. A first-minute Tom Lawrence goal provided the perfect start and a platform to build in, but instead of putting a side bereft of confidence to the sword, the Championship’s worst side gave us a lesson in positive, attacking football. The point at Portman Road would be the last we’d see for the rest of the month. The second half of February was, to put it kindly, a car crash. An FA Cup exit at Brighton felt like a huge opportunity missed. There’s no shame in losing to Premier League opposition, but in a season where our cup exploits made Frank Lampard’s Derby County more than just a gimmick, the 2-1 loss at the AMEX was an anti-climax to say the least. Unfortunately, the disappointment continued with back-to-back 1-0 defeats to Millwall and Forest. 20th-placed Millwall have now done the double over Derby – a quarter of their total wins all season. As good as it got: Martyn Waghorn celebrates against Hull. As that game lumbered on without a goal, it seemed more and more likely the Lions would nick something on the break. Resolute and organised, their well-executed game plan saw Derby bereft of ideas and confidence. As for Forest, a generally forgettable game was settled thanks to the defensive uncertainty which has undermined us since August. The frustration at a first derby defeat since 2015 stemmed from its predictability – O’Neill’s side are functional and physical, but not flashy – exactly the sort of side who’ve cost us points all season. Running before we could walk? Yes, we’ve been here before – but that doesn’t make it any easier to fathom. The spectacular displays against Norwich and West Brom seem a long time ago – our title as the Championship’s nearly men could once again turn from banter tag to sad reality. Lampard has achieved great things in his first season – developing youth, dishing out Premier League nosebleeds and building an affinity with the fans – but as a result, it’s made this rut much harder to accept. Fast, free-flowing football has been swapped for lethargy and lack of creativity. 48' | @DuaneHolmes' deep cross is headed out for a corner, before @RichardKeogh_6 directs the resulting corner wide of the target. We shouldn’t be surprised by the unforgiving Championship, a league always keen to teach a harsh lesson. Whether this reality check was needed or not, it’s a shame it came during a favourable run of fixtures. If the first half of the season saw Derby run before we could walk, February has seen some embarrassing stumbles. The positives? Mount and Marriott should both be fit and firing for Derby’s four consecutive home games in March… and it only takes one precious win to turn the tide. Charlie Harrison leading the Rams out at the City Ground helped suppress February’s doom and gloom. There’s no place for bullying in society and watching football take a stand was great to see. We hope you enjoyed it, Charlie! Whilst Ashley Cole’s header provided a glorious mix of shock and bemusement, Waghorn’s neat finish from Jayden Bogle’s nutmeg and cross against Hull takes it. Alarmingly, there wasn’t a Harry Wilson thronker in sight. Good riddance February. Harry Wilson scored Derby’s first goal of 2019 – it’s now beyond doubt that his rocket-powered left foot is crucial to our promotion hopes. October was an important month for Derby. Two seemingly winnable games against Norwich and QPR, followed by three arguably tougher games against promotion rivals. The Carabao Cup tie at Chelsea on Halloween would be an interesting way to end the month – a free hit if ever there was one but also an opportunity to test our young, athletic team against one of the best in the country. The context was important too. Could Derby move on from their ‘consistently inconsistent’ September and make progress in the League before our perhaps inevitable traditional collapse in February and March? Derby went into the Norwich home game having won only one of their last five, and only avoided defeat through Craig Bryson’s 86th bundled equaliser off his knee. Not very impressive. However, Norwich won their previous four home games, continued this form after playing the Rams and are currently fourth. Taking this into account, you would have to say a draw was reasonable. QPR at Loftus Road, on paper at least, looked like a good chance for Derby to return to winning ways, but sadly ended in a cagey, scrappy draw. The one positive and significant moment was Jack Marriott’s first League start – and his first league goal. He also demonstrated a willingness to track back and work hard off the ball, which will prove essential for the way Lampard wants to play. Craig Bryson’s bundled equaliser earned a valuable point against in-form Norwich. The result meant our run was only one win in six and there were some grumblings from the fans afterwards (albeit mainly on Twitter). However, QPR won all of their games in October apart from their draw against Derby. Another result which wasn’t actually that bad, given context? We were playing teams who were hitting form and, in due course, would have an excellent October. However, even bigger tests were to come. Sheffield United topped the table when they arrived at Pride Park on October 20, but Derby eventually ran out 2-1 winners. It was a strange game in my view, with Bryson slotting home after a record breaking and frankly outstanding goal after only 19 seconds. Despite the perfect start, Derby struggled to keep possession and string passes together in that first half, handing momentum to the Blades. The equaliser had a certain inevitability about it. However, two decisions by Lampard ensured victory for Derby. Firstly, Huddlestone was recalled to the side in place of Bradley Johnson, giving Derby more midfield control. Off and running: Bryson netted again in October in Derby’s rapid start against Sheffield United. Jack Marriott’s superb volleyed finish earned Derby all three points against the Blades. Secondly, when Bryson came off injured in the first half, Lampard moved Wilson inside and stuck Lawrence on. A brave decision but one that paid off, instantly giving us more tenacity and mobility and adding to our attacking threat. The winning goal from Marriott was fantastic – a dynamic, athletic poacher’s goal from an excellent driven Forsyth cross. 2-1 was a great result. The game at the Hawthorns was an almost perfect performance which no one really expected. Another predatory finish from Marriott before a moment of wing wizardry from Tom Lawrence saw the Rams coasting at half time against a West Brom back three who simply couldn’t cope. Harry Wilson is all smiles after smashing home number three at West Brom. Harry Wilson’s latest long range special and a fourth from Scott Malone after a lung-busting run completed a comprehensive thrashing which will have made the Championship take notice. This was the game where Lampard’s preference for skilful, mobile, youthful players really began to pay dividends. It was an easy win to be honest. Expectations were high by the time we arrived in Teeside to play Middlesbrough – and Derby were less than 10 minutes from an outstanding win. Almost completely dominant in the first half, we led at half time through a George Friend own goal but allowed Boro back into the contest by sitting back in the second half. Sucker punch: Derby were ten minutes away from a huge victory at Middlesbrough. Derby briefly topped the table at 1-0 up and there were six different leaders that day – a perfect demonstration of how open the Championship is this year. No one is dominating like Wolves, Leicester and Newcastle have in previous years. Both West Brom and Middlesbrough changed their defensive formations either during the first half or at half time in each game. This seems a clear sign that Derby can rattle the top teams with our mobility, intensity and attacking flair. How many games can we do that in? Perhaps the second half of the Middlesbrough game demonstrated what can happen when we let our foot off the gas. The pressure was off, in my view, for the Cup game at Stamford Bridge. It was gracious of Chelsea to let Mount and Tomori play, albeit a reminder they are playing for Derby for their development and won’t be here next season. The game itself was ridiculous, chaotic, and thoroughly entertaining. The Rams more than held their own overall and could have at least forced penalties had Keogh (!) taken a late chance or Nugent not agonisingly hit the post. The first two goals conceded were freakish, but still sloppy. One game too far: A brave, entertaining performance at Chelsea, but the cup run is over. Against a nearly full strength team, including two World Cup winning midfielders, we were always going to get punished. It was one miracle too far – but we came mighty close. Overall, you have to see October as a month of progress. Unbeaten in the League, four goals from Jack Marriott, the re-emergence of Tom Huddlestone and some bravura attacking performances. The only concerns have to be those woeful own goals and the lack of intensity in that Middlesbrough second half. Here’s to more fireworks in November. – The perfect implementation of the much talked about ‘high press” at West Brom. The harried Baggies defence were constantly hassled into mistakes, it was amazing to watch and contributed to the best League performance of the season so far. Lampard has talked about this way of playing a lot but we’ve only seen it in fits and starts so far. Long may it continue. – Scott Malone’s goal against West Brom. He made a great defensive interception, drove forward, quickly exchanged passes with Mason Bennett before drilling low into the bottom corner. Not the best goal technically this month or the most significant but a thrilling example of what he could add to the team’s attacking options. – While I wouldn’t normally enjoy us conceding two own goals in quick succession, the banter about us scoring four goals in the first half at Stamford Bridge, without them having a single shot on goal, was pretty amusing. – Lampard, just like at Old Trafford, named an unchanged, full strength team in a Cup game when we’re in the middle of a dogfight to get out of the Championship. Other managers might have rested players or seen it as an opportunity to give some game time to some squad players. Not Frank. How refreshing. Must go to Jack Marriott for his magnificent match winning goal in the Sheffield United game. A fabulous poacher’s finish from Jack and significant too. Like a lot of fans have been saying, it was a finish reminiscent of a Dean Sturridge or a Bobby Davison (for those of a certain age). Vydra and Martin scored goals, but we haven’t had a striker who charges around causing chaos, while also showing a predatory instinct, for a long time. In August, ‘Flexible’ Frank Lampard reworked his strategy after early setbacks to produce Derby’s best start in seven years. We hoped more settled selections would see Derby hit their stride – but two months in, the Rams’ results are that pet-hate phrase of fans everywhere… ‘consistently inconsistent’. September started with a smash-and-grab away win, and finished with the second of two wall-punchingly frustrating 1-0 defeats. It’s still impossible to draw conclusions about our long term 18/19 prospects, but a couple of kinks have arisen for Derby which need ironing out before Christmas. Craig Noone’s back post header for Bolton was the seventh time Derby conceded first in 12 games. What’s more, five times this season we’ve gone behind in the first ten minutes. It’s a worrying trend which Lampard needs to eradicate. Derby have still rescued games from these losing positions, most notably *that* night in Manchester, and the Brentford blitz before that. However, if we keep starting games cold and having to score twice to win, a top six finish would be miraculous. Fikayo Tomori summed up the ’sublime to the ridiculous’ September Derby had. A good young athlete capable of composed interceptions, in general terms he’s improved since his baptism of fire against Leeds. On top of that, no Derby defender in recent memory covers the pitch quicker. When Keogh’s lapse put Lukaku in at Old Trafford, he ate up the ground in seconds and made a last-ditch intervention from nowhere. For every raking long ball and speedy dispossession though, there’s a clumsy foul to concede a penalty (Rotherham), there’s losing your man in the first minute (Brentford), or failing to cut out a cross (Bolton). It’s imperative to say, at this point, that Derby concede as a team – Forsyth was flat-footed for Bolton’s winner and Wisdom got bullied by Fellaini at Old Trafford. Tomori is only 20, and one of several young stars who will make mistakes, as we pointed out after Rotherham. Whether Curtis Davies comes straight back in will be a big test of Lampard’s commitment to bring on young players. But if the Chelsea loanee – and others – can cut out those lapses, it could be the basis for a big unbeaten Derby run. In years to come, 3,000 Derby fans who made the journey to Manchester expecting a character-building defeat will instead talk about a glorious night in Rams history. Forget that Man Utd are a mess thanks to two clashing egos. The second best team in England last season had £300m of talent on display – but at times Derby played them off the park. The 8-7 win on penalties after a pulsating 2-2 draw was as thrilling as it was unexpected. Harry Wilson’s astonishing free kick epitomised the chaos. With everyone expecting a Mason Mount curler, the returning Wilson unleashed a left-footed 30-yard howitzer which dipped viciously under the crossbar past a staggered Sergio Romero. For technique and audacity, the only Derby set piece which comes close in my lifetime is Asanovic v Chelsea in 1996/97. Then there were the penalties, where Derby transformed into a team of German cyborgs to dispatch some of the best spot kicks you’ll see in a shoot-out. No Derby fan will forget Tuesday September 25th in a hurry. Such an epic triumph was always going to be draining, mentally and physically. Even so, Derby’s squad depth and the Old Trafford feel-good factor had fans anticipating a win which would’ve put us a point off leaders West Brom. The resulting defeat – which echoed the pattern of Rotherham – left fans tearing their hair out. Against Blackburn and Bolton, Derby had 39 attempts on goal, but just four on target, along with no goals, and one point. Lampard’s Rams also have the 3rd highest average possession share in the league. For all Derby’s ball retention and attacking intent, momentary lapses at one end and a lack of ruthlessness at the other are costing us. – Everyone doing The Bounce. It should be retired after Old Trafford and only used again after a Forest victory or promotion. – Keogh’s 300th appearance. Whatever your view on him, a triple century of games is a helluva achievement. And while we’re here, 250 for Bryson and 150 for Carson. – Marriott off the mark: His first goal got swallowed up slightly in the Man Utd hysteria, but we’re made up for him. – Jody Morris’s Instagram: Just all of it. Give him a follow, you won’t regret it. Harry Wilson v Man Utd. Lost count of how many replays we’ve watched. All three goals v Brentford had a touch of quality, but let’s be honest – there’s only one winner. Frank Lampard’s Derby County© have hit the ground running. Four wins and 12 points from six games represents the Rams’ best start to a campaign since 2011/12. Lampard’s six wins in all competitions by early September are all the more impressive for a rookie manager’s first month – even more so when compared to the eight wins in 29 for a certain Mr Karanka down the road. Derby are keeping up with the Championships pace-setters, thanks to Frank Lampard’s flexibility, both in tactics and selection. Under Lampard, the Rams are trying to build their latest new identity. The shorter, quicker, more creative passing game has been well received so far and is a far cry from the direct, mundane, possession-lite ‘Rowettball’. Derby’s 54.6% share of possession is the joint second best in the division, bettered only by table-topping Leeds. Off to a flyer: Tom Lawrence celebrates the last-gasp winner at Reading. Finding his feet: Lampard has had to adapt to the rigours of the Championship. We’ve always shown defensive frailty at some point in recent seasons, and after the 4-1 home drubbing by Leeds, followed by a chaotic first half at Millwall which cost Derby the game, there were fears that Lampard’s determination to play out from the back would do more harm than good. However, Derby’s new boss adapted his 4-3-3 formation to include two deeper midfielders, bringing a more solid structure. It’s no coincidence there have been four wins since and only one conceded in more than six hours. Recognising weaknesses and a willingness to act upon on them deserves plaudits. Sandwiched between the two last-gasp away wins were home victories over Ipswich and Preston. Sending Ipswich packing was a huge relief and got a particularly annoying monkey off Derby’s back, having not beaten the Tractor Boys at Pride Park in more than a decade. Richard Keogh nodded in the crucial second goal against Preston. Preston will probably finish highest from those four sides – three of whom are surely bottom-half fodder – but picking up points with several key players absent, with a side which still hasn’t gelled, is hugely promising. Derby have found different ways to win, a desirable trait to say the least. Lampard has embraced and taken full advantage of his big squad. Eight different players have scored already this season and substitutes have had a clear impact – last-minute winners at Reading and Hull both came from Mason Bennett cameos. As well as embedding academy products Bennett and Jayden Bogle into the team, Lampard hasn’t been afraid to raise eyebrows with team selection. Jack Marriott’s recent omission from the match day 18 was met with bemusement, but shows Lampard will make decisions for the good of the team. With a fully fit Tom Huddlestone and the return of Curtis Davies and Harry Wilson still to come, Lampard’s weekly selection headaches will only get more intense. Admittedly, Derby’s first six league games threw up a favourable run of fixtures, but the unforgiving Championship punishes teams who underestimate anyone. September provides two home fixtures and two winnable away games at Bolton and Rotherham, meaning that the next four games presents a great opportunity for the Rams to make a promotion statement. Breakthrough: Mason Bennett and Florian Jozefzoon have impressed in August. All smiles: Bryson and Nugent celebrate the league win at Hull. The Championship is a long slog, paved with twists and turns, but we head into the first international break with momentum. No-one should care about the league table at this stage, but after six games there are signs that Frank Lampard isn’t just starting the bounce, but planning a promotion push too.